Home » Blog » Lincolnshire Buffs – Like Hens Teeth? Whilst at this years (2008) Lincolnshire Show talking to several Lincolnshire Buff (Poultry Society) members both past and present, I got the general impression that Lincolnshire Buffs are perceived as being hard to get hold of, this is of course true. Although the Society stands in a healthy position with over 50 members, only a small proportion of these have breeding birds, and those that do strive to breed are hampered by continuing lack of stock. To this end, I thought I would put a pen to paper and ponder the reasons why. When the Lincolnshire Buffs were first re-introduced and the subsequent formation of the Society in 1995, the Society had several members which had breeding birds and the entries for the Lincolnshire Buff Classes at shows were indeed quite large. Over the years this has slowly declined to a point now where only perhaps 4 or 5 members breed any significant numbers of Lincolnshire Buffs. These members could be referred to as Breeder Exhibitors, who also show their birds to help keep them in the public eye. Looking back at old newsletters I note that in 2001 our show at The National Poultry Club show had a hearty 26 birds entered compared to 13 birds in 2007. Although showing is not everyone’s cup of tea, I personally believe that Lincolnshire Buffs are for all, the showman, stockman and general smallholder. Owing to its dual purpose attributes, the Buff offers the best of both worlds in providing a tasty white fleshed table bird and a good supply of eggs, of course not forgetting its role in the show pen as a beautiful show bird. And to top it all, the Buff is one of the most docile and friendly breeds anyone could hope for! Lincolnshire Buff Male at a poultry show. The showing side of it does help to keep numbers of the breed up, each year needing young stock for Pullet and Cockerel classes at the winter Classics. Showing does also serve to keep the birds blood lines strong and true to the Standard. I think now we are seeing the Buffs each year more uniform in type and colour, seeming to breed truer as time goes on, but without interference from ‘out crossing’ as with other pure breeds of Poultry. Recent months have seen an excellent coverage of the Buffs in both local and national magazines, namely Lincolnshire Life, Tastes of Lincolnshire Good Tastes Guide, Practical Poultry and in addition we are soon to be included on a 2 page ‘Breed Club Focus’ in Fancy Fowl. We have already received several enquiries and new members from these and it is hoped articles such as the ones listed will all help our plight and encourage new members to join and breed birds. It is easy to take the approach of why advertise the Breed when there is limited birds for sale? however, without advertising the Buff and encouraging and inspiring new members to keep them for a variety of different reasons, we will not grow and a gradual decline in the Buff may follow. So, after reading through the lists of qualities previously mentioned, a question arises, if the Buff is the bird of choice, why are there so few around? Whilst of course as a Society we appreciate support from all members, I feel the Buff would benefit from an increase in birds being bred. If say 10 other members would breed even 1 clutch per year, this would increase birds by perhaps 100 in one year (allowing for 10 to hatch per clutch). This would allow for members to increase their own flock sizes by retaining a couple of pullets, but also sell off any suitable surplus birds. This would in turn put more birds into circulation and so the cycle goes on, much in the same way as Ginger Beer used to be split and shared to increase and perpetuate it! 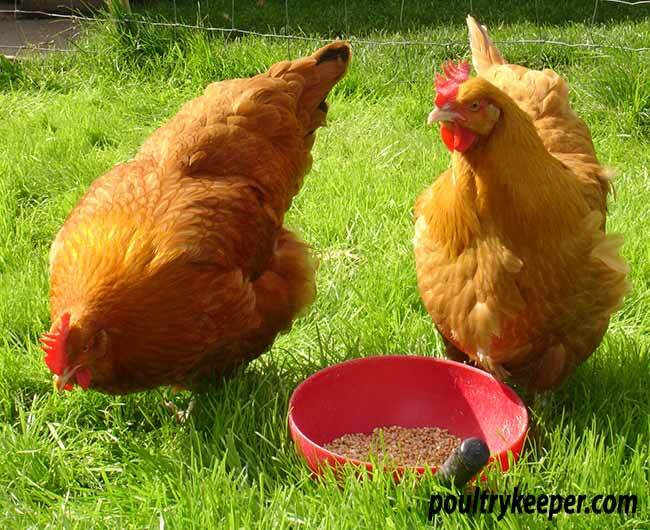 Feed-meal, pellets and corn, an all important factor in the breeding and rearing of any fowl continues to rise and this must play a factor on the raising of all large pure breed poultry. This is especially so with the Buff, where not all chicks hatched will ‘make the grade’. Fuel – many of us question travelling to shows with the price of fuel increasing each time a visit to the pumps is made. Selection – as previously mentioned, each year with careful selection, the Buff is conforming more and more to the Standard. But breeders of course must allow for the fact approximately half of chicks will be cockerels, out of these only a portion will make the grade, the remainder will be culled or run on for table birds. Any pullets reared who do not ‘make the grade for breeding purposes’ do not cause so much of a problem in that people are happy to purchase them for egg laying/pets. Neighbours – not everyone can keep a cockerel to breed from, depending on where they live and how tolerant the neighbours are is the main factor here! Foxes – unfortunately, even the most dedicated of us have lost birds to the fox. We cannot be with our birds 24/7 and even by shutting the birds away at dusk, Old Charlie can beat you to it or even scramble his way into the henhouse in the small hours. Time – breeding and rearing all takes time and many of us already have limited spare time in our busy lives. So it seems all of these contributory factors all add to the low levels of Buffs around. However, do not let the above reasons put you off. Breeding and rearing your own Lincolnshire Buffs is an extremely rewarding hobby. 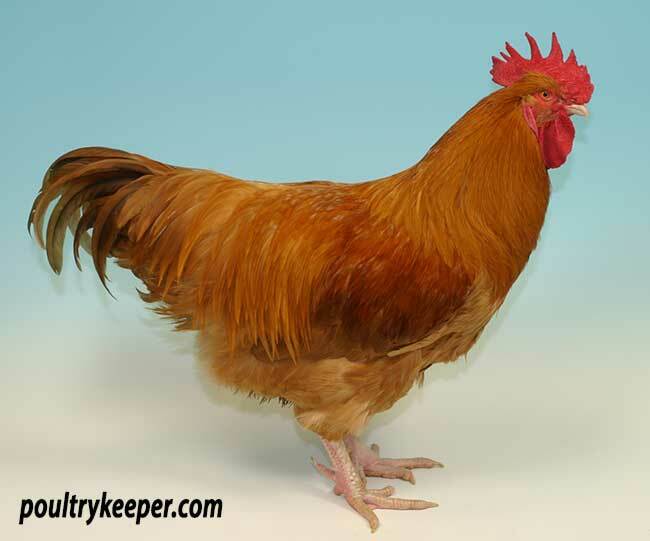 Although spare hens and pullets are hard to get hold of, members who are wishing to start breeding will generally be successful in obtaining a pair or a trio of breeding birds, or even hatching eggs in the spring/summertime. By good virtue of numbers the breed will continue to grow for future generations and honour the hard work and effort put in by Lincolnshire Buff members and enthusiasts both past and present.